Home / News / Whats Going on in the media? 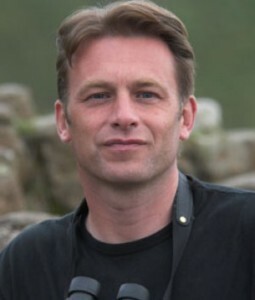 The Fox Project’s Patron, Chris Packham, has come out publicly against the continuing attacks on foxes by the shabbier end of the media. The Fox Project has always doubted tales of ‘attacks’ on people and looked for hidden agenda. Usually, we’ve found one, because those agenda inevitably surface at some point. They include: diverting attention from a domestic dog, cat and in one case, ferret attack on children, whereby there would have been bad publicity about irresponsible parenting: decrying the animal in order to increase public fear and gain income for ‘pest controllers’: decrying the animal in order to increase support for the repeal of anti-bloodsports law: attempting to get local authorities to act against foxes resident in gardens – even though councils have no legal obligation to do so. Police, councils, social workers, neighbours, doctors and responsible media have all come to us for advice when they’ve doubted ‘fox attacks’ were true. But they couldn’t prove it and we couldn’t prove it. Not that it matters, because the onus to prove it is on the person claiming the ‘fox attack’ is true and, so far, none of them have. The Fox Project has always counselled doubt while never refusing outright to accept a story provided in good faith. Chris has come right out and challenged the stories, telling the media “I’ll be necessarily diplomatic – I don’t believe it!” Frankly, nor do we and because most peoples experience of foxes doesn’t support such behaviour, we can’t find many folk who do. On occasion, politicians who wrongly imagine there are votes in it, come out calling for a cull of urban foxes. Perhaps one of the least credible was Boris Johnson, when he was London’s Mayor. He repeatedly called for a cull – latterly in the wake of a media feeding frenzy about a supposed attack on a baby by a fox, a story that even journalists enthusiastically covering the story admitted they had their doubts. Regardless of the veracity of this or of similar unproven tales, the reality of a fox ‘cull’ is that it would achieve nothing. Any wildlife ecologist will tell you so – and so will DEFRA – and that previous attempts to reduce the numbers of a self-regulating species that annually replaces its lost numbers and may not breed at all if numbers are already optimal have failed – and WILL always fail. The definitive view on this comes from Professor Stephen Harris, the UK’s foremost authority on foxes……..
“In the UK, whenever wildlife are seen to be posing a problem, it goes without saying that the culprits are branded as overabundant – be they badgers, grey squirrels or foxes. I cannot remember how often I have been told that foxes need to be culled because they have no natural predators. Fortunately, cases of foxes biting children are very rare, but whenever they happen the media is whipped into a frenzy and such language dominates the coverage. Feeding this frenzy sidesteps the facts. Firstly, there is a vastly greater risk that your child will be attacked by a pet cat or dog, especially your own. Nearly a third of UK dog owners have been bitten or attacked by a dog, sometimes with horrendous consequences. There are thousands of hospital admissions for dog bites each year, many resulting in injury to the face requiring plastic surgery, and with children worst affected. On average, dog attacks result in roughly one child and one adult being killed each year in the UK. People who call for a fox cull also forget or ignore the fact that it has been tried before, and failed. Foxes started to colonise our cities in the 1930s, when a house-building boom and suburban expansion created an ideal habitat for both people and foxes – lower-density housing with bigger gardens. From the late 1940s, the then Ministry of Agriculture and Fisheries started trapping and shooting foxes in south-east London to try to curb the growing red menace. Yet fox numbers continued to increase and they spread into the inner suburbs. In 1970 the responsibility for fox control was passed, without legal obligation or compulsion, to the London boroughs, and many in south and west London started trapping and shooting foxes, and gassing their dens with cyanide. Bromley once had a full-time fox control officer who killed over 300 foxes a year, mostly by shooting them in people’s gardens with a 12-bore shotgun. For two days a week he was assisted by another council employee. However, their combined efforts had no discernible impact on fox numbers and Bromley, along with the other London boroughs, ceased its fox control measures in the 1980s. We could not even stop the early spread of foxes into London, let alone reduce numbers, an all-too-familiar story with foxes generally. The lack of success was hardly surprising. In the city of Bristol in western England, when foxes are removed from a territory, others take their place in around four days. Studies in Scotland and Wales both suggest that killing foxes leads to a slightly higher breeding population the next year, probably because more foxes move in to contest the vacant area than were there in the first place. Culling foxes now is likely to be both expensive and counterproductive. And it will not target the problem: the individual foxes that actually pose a risk to people. But the British press feeds on hype, not science. Equally frustrating, whenever fox bites sporadically hit the headlines, is the number of experts that suddenly appear claiming that urban fox numbers are increasing, as are attacks on children. I have never heard of any of these “experts” and see remarkably little evidence to support their assertions. Bristol is the only city in the UK where the fox population has been monitored long-term: here fox numbers slowly fluctuate, with occasional dramatic changes, such as when the skin disease sarcoptic mange arrived in spring 1994. This hit Bristol’s foxes hard. By spring 1996 over 95 per cent had died, and the city had become a vulpine ghost town. I never heard a single person celebrating their disappearance, only mourning their loss. Since then fox numbers have slowly recovered: we predicted this would take 15 to 20 years, as proved to be the case. Foxes are only just returning to their earlier densities. Much the same appears to have happened in other cities across the UK following the northward and westward spread of sarcoptic mange. Many urban areas still have fewer foxes than they did before the disease broke out. Interestingly, before mange, foxes that could be described as “bold” or “friendly” were relatively common in Bristol. My impression is that we now have fewer bold foxes. We are still trying to work out why this may have happened. But there is no evidence that urban foxes generally are getting bigger or bolder, or pose more of a risk to people. Recent reports of ‘giant’ foxes should not be taken seriously. Despite crazy claims of foxes weighing over 30lbs having been shot at various points across the UK, no independent verification exists and the one common denominator for all the incidents is a small but persistent online fieldsports channel (for those not familiar with the term ‘fieldsports’, it is a euphemism for bloodsports or killing-for-fun). When we see one of the bodies at first hand, we will drop our suspicions of ‘Photoshopping’ and accept there is some truth to these stories, which seem designed to frighten the public. But why would they want to frighten the public? There are two agendas here. Firstly, the hunting fraternity, whose actions were popularly curtailed in 2004 by the Hunting Act (not that they have paid much attention to it) have desperately tried to get successive governments to overturn the act and re-legalise foxhunting – which will also serve to re-legalise stag hunting, hare coursing and otter hunting. Secondly, there is an annual, concerted campaign by ‘pest controllers’ who tell us the rat population has doubled; mole numbers are increasing; grey squirrels are responsible for the deaths of thousands of red squirrels; magpies are responsible for songbird decline and many other myths, generalisations and exaggerations. Foxhunters and ‘pest controllers’ are often the same people. Both benefit by frightening the public into believing Britain is being overrun by foxes, despite the fact neither activity has ever been (or could ever be) a controlling factor on the species. Dubious stories of foxes attacking humans and domestic pets have largely fallen on deaf ears because people see foxes all the time and what they read in the tabloid press doesn’t reflect their own experience. So the scaremongers turn their attention to absurd claims of an increasing fox population (despite scientific evidence it has actually fallen over the past 40 years) and now – HUGE foxes. And this, they say, is the fault of misguided urban householders feeding them. But the latest ‘massive’ fox was from rural Scotland, so how does that work? And, of course, people also feed their cats and dogs – and those species aren’t getting bigger! None of it holds water. If these anti-wildlife fanatics were to retain a sense of some proportion, they might be taken seriously. But they always go over the top. In the space of just a few months, they reported four foxes over the weight of 30 lbs – the latest weighing 38lbs!. In fact, most foxes weigh between 12 – 15lbs and the largest fox ever recorded – in the Scottish Highlands, where they are generally regarded as being larger – weighed 26lbs. Sadly, there are aspects of the UK media that always tend to carry the banner for the bloodsports fraternity, ever prepared to leap without question upon any anti-fox story, regardless of lack of evidence or credibility.